\u2022 Two sides made from white, breathable fabric and two mesh sides to promote drying. 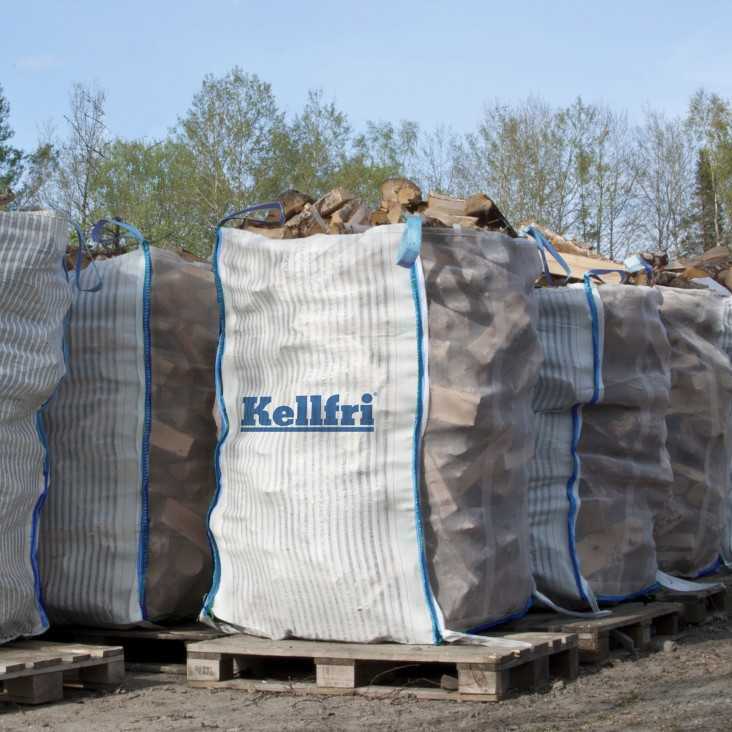 Kellfri's generous firewood bulk bags provide practical and compact firewood storage. • Two sides made from white, breathable fabric and two mesh sides to promote drying.